(UPDATE 3/19/19): 2018 was a record year for Disney movies at the Box office with the numbers reaching over $7 Billion in box office sales and only missing its own record of $7.6 Billion in 2016 by a very short amount. But as well as this past year was for Disney films, 2019 is set to become the biggest year for any studio in cinematic history and in my estimation will push over $10 Billion. 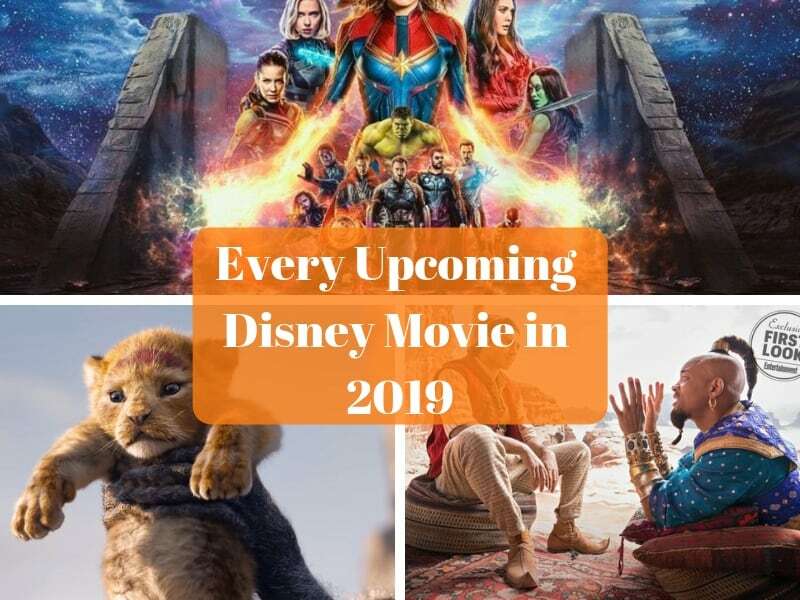 To know what’s coming we’ve created the complete list of every upcoming Disney movie in 2019! Included on the list are all the films from Walt Disney Studios, Marvel, Lucasfilm, and Pixar so all the Disney owned properties are included. We’ve left off movies from 21st Century Fox at this time because we don’t know exactly when that deal is going to be finalized in 2019 and which ones will count towards the studios’ total earnings. At this time we’ve left off the movies coming to the Disney+ streaming service in 2019 but we’ll add them further down the line once Disney gives us information about the titles and release dates. Until then we’ll just focus on the ones which will be hitting the Box Office this year! Without further ado, here is a list of every Disney film coming in 2019. Let us know in the comments which one you’re most excited to see! 2019 is going to get off with a bang (literally) as Captain Marvel flies into theaters in early March. We know that Captain Marvel (Brie Lawson) is going to have a huge role in the Avengers: Endgame plot, as she is one of the most powerful beings in the universe, which will come handy in the fight against Thanos. However in this movie, we get to see Captain Marvel’s origin story and how she went from a human on Earth, to ending up with the Kree and fighting a war in outer space against the enemy Skrulls. There are sure to be a lot of twists and turns in the plot during the film, especially when it comes to the mystery of Jude Law’s character who we still don’t know if he’s good or bad. Being set in the 1990’s, we also get to see younger versions of some of my favorite Marvel Cinematic Universe characters of all-time Nick Fury (Samuel L. Jackson) and Agent Phil Coulson (Clark Gregg). I can’t wait to see them in action and finally find out how Fury lost that eye! This is a must-see film of 2019 and crucial to the Avengers and MCU plot line. 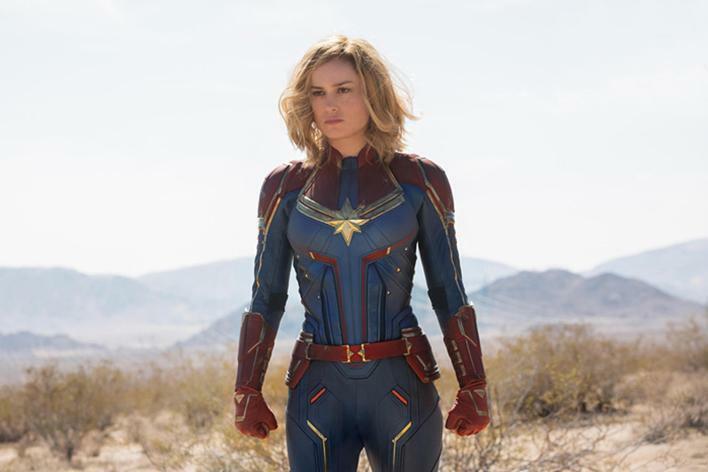 Captain Marvel has been released in theaters and is already dominating the box office in its first weekend! The first of 3 big “Live-Action” remakes of Disney animated classics hitting in 2019. Of the 3, I had the least expectations for Dumbo, although from the footage I saw in the trailers up to this point, they actually have me pretty intrigued now! The story is based on the 1941 Disney classic, but since the original is only just over 60 minutes, this one treats the original like “part 1” of the story and continues on after that. This is interesting because it means we are going to see a whole other part to the story that has absolutely nothing to do with the original. 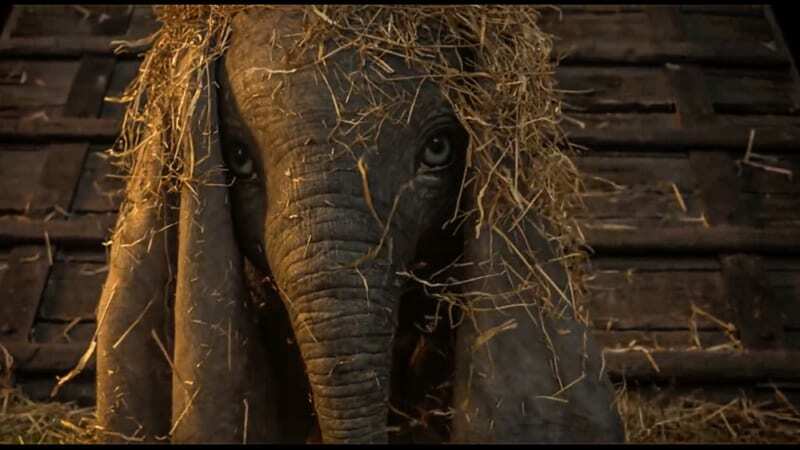 Tim Burton’s stamp is all over Dumbo, and with Eva Green, Colin Farrell and Michael Keaton all starring in it, audiences have good reason to expect a better than average film. It won’t be at the top of the Box Office, but should clear $500 Million without breaking a sweat. Penguins may not be the money-making juggernaut that others on this list are, but it looks like an amazing story and one that animal lovers and kids won’t want to miss. 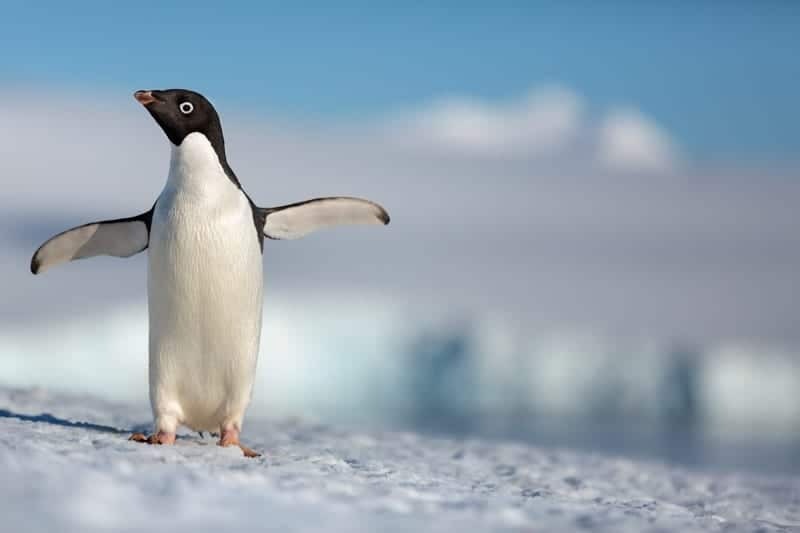 The filmmaking team behind “Bears” and “Chimpanzee” are bringing you a story about Steve, a male Adélie penguin fighting to survive the harsh conditions of Antartica, avoiding killer whales and leopard seals, and all the while looking for his life-partner. Things get even more difficult when Steve has to raise his family and help keep them out of danger. Penguins really looks like a heart-warming story and the locations in the film are stunning. I can’t wait to see this when it hits theaters for Earth Day 2019. Just try to tell me it doesn’t look adorable!! Do I really need to get into why you need to see Avengers: Endgame? If I do, then obviously you are one of only 5 people on planet Earth that didn’t see Avengers: Infinity War and hasn’t been suffering to find out what happens in the next chapter. We left off after Thanos successfully wiped out 1/2 of the population in the universe, including even some of our favorite super heroes. We don’t know a whole lot so far about the plot as Marvel has been pretty hush-hush about the whole thing. What we do know is Tony and Nebula are stranded in outer space, while the rest of the Avengers are trying to pick up the pieces on Earth. We also know that somehow Captain Marvel is going to be a key piece to the puzzle, as well as Ant Man who has been traveling through the Multi-verse and will probably be able to find a way to reverse everything. The ending to Infinity War was such a downer that Endgame has to finish on a high note with the Avengers putting everything back into place. I’m literally counting down the minutes till Endgame drops, and it’s easily my most anticipated Disney movies of 2019, maybe of all-time! In the latest trailer we got to see the Avengers rallying together, determined not to give up and to keep fighting for the ones they’ve lost, but more importantly the ones they still have. We also got our first look at Thanos in Endgame, and he looks just as big and bad as in Infinity War! Goosebumps!! Aladdin was one of my favorites growing up and the Live-Action version has me more than excited for it! Aladdin is directed by Guy Ritchie and will also have two new songs written by Alan Menken as well as songwriters, Benj Pasek and Justin Paul helping him. And don’t worry, Will Smith has confirmed that the Genie will indeed be blue even though he isn’t in the EW promotional material that dropped recently! 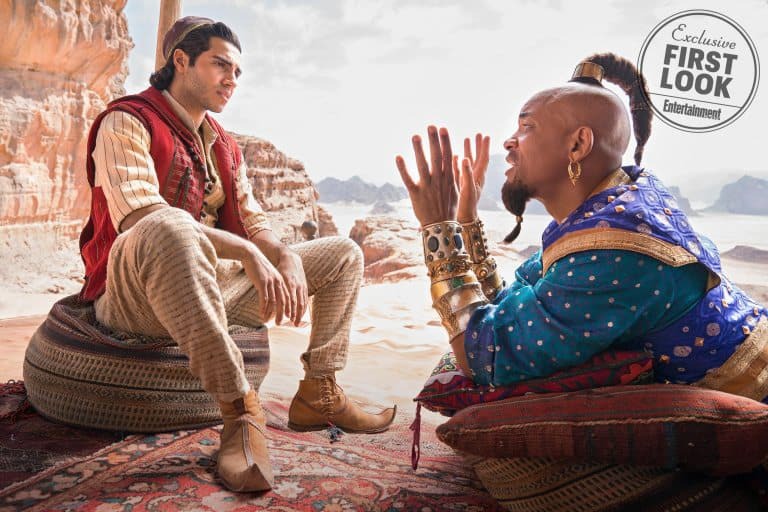 Aladdin is going to be a big success in 2019 imo, and will push close to $1 Billion with the force of the Disney marketing machine behind it. The best animation franchise in the world comes back for a 4th installment in 2019, and we can hardly wait! After the way Toy Story 3 left off, I really didn’t think we’d be getting another installment, but I’m thrilled we are and from comments some of the cast have said, it might be the best one yet! Woody, Buzz and all the gang are back for Toy Story 4, and this time they’re going on an adventure on the road! Expect some new characters this time like Forkey, who we met in the first trailer, and two fluffy carnival prizes, voiced by Jordan Peele and Keegan-Michael Key, who give their opinions of the Toy Story teaser trailer in the second one. That’s about all we know so far, but the ending is supposed to be really emotional, and I’m not sure I can handle anything more than what Toy Story 3 already gave us! I’m really looking forward to this, and it’s a must-see Disney movie for 2019 hands down! Another mega-hit on the horizon for Marvel Studios is the second installment of the Spider-Man franchise in the MCU. Yeah good point. It is rare that Marvel would reveal the fate of one of the super heroes caught in “the snap” we saw at the end of Infinity War. Also because Spider-Man’s deaths was probably the saddest of them all! Unless in a huge twist Marvel is totally messing with us and somehow this film is set in the past, or an alternate universe, we know that Spider-Man made it back along with presumably the other Avengers. Tom Holland is back as the lead character and so are the other familiar faces from Homecoming. In this one though Peter goes away from NYC on a school trip and the action picks up there. The jury is still out on Mysterio (Jake Gyllenhaal) and whether he is actually good like he’s rumored to be. My guess is he will help Spider-Man for a while to defeat the Elementals, which are most likely his own creation. 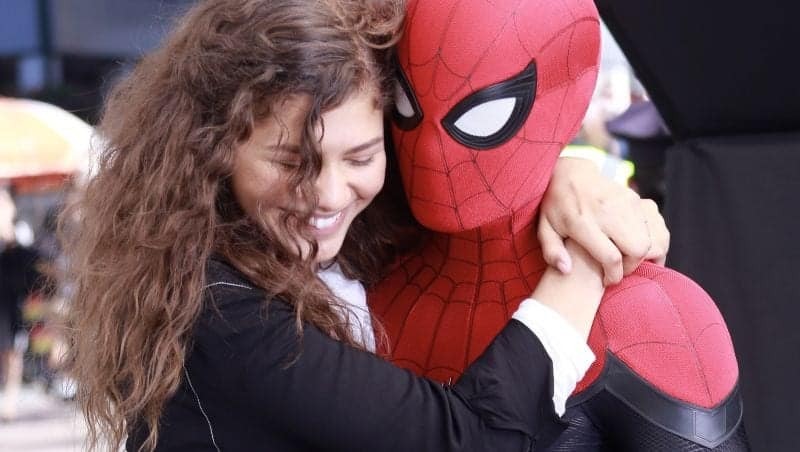 Like the other MCU films in 2019, Spider-Man: Far From Home is a must-see movie and is going to be another monster hit for Disney. A “Live-Action” version of perhaps the most beloved Disney animated film of all-time is coming in 2019, as The Lion King is back! I put “Live-Action” in quotes because it’s really a CGI version of the film, but the way the visuals looked in the trailer, they may as well be real lions, that’s how good they look. As we’ve already seen in the previous upcoming Disney films for 2019, remakes of animated classics is all the rage, and at this point in the year the previous two will either have been smash hits with everyone expecting even more from The Lion King, or we’ll be getting a bit tired of them with 3 of them in only a 4-month period. I’m not worried too much about The Lion King though as it is so loved by fans that it will easily be a $1 Billion earner at the Box Office. James Earl Jones is even coming back to do the voice of Mufasa, which is going to be amazing! Definitely one of the best movies from Disney coming in 2019 and one that can’t be missed! 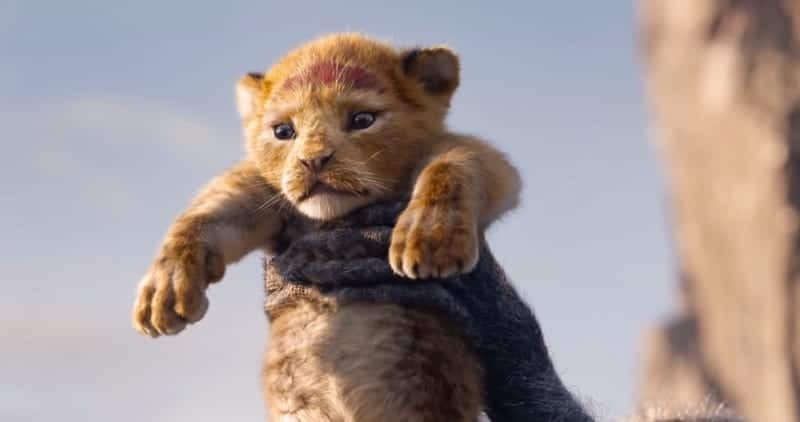 As if the teaser trailer wasn’t enough, the official trailer for The Lion King just dropped and we get an even closer look! 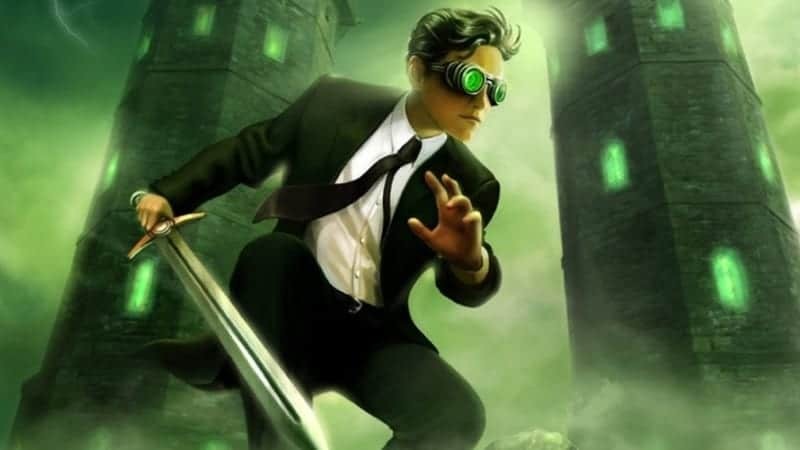 I have to be honest, I knew nothing about Artemis Fowl before writing this post and had to go read about the story and why so many people are excited about it in 2019. Since this is a series of books, Disney is hoping this will turn into the next Harry Potter series and wants to make multiple films, continuing the series. While it looks somewhat interesting to me, it’s probably in last place of movies I’m looking forward to in 2019 and I don’t have super high expectations for it. We’ll see what happens when it releases at the end of the year. If you thought Disney had a “Frozen-fix” already, just wait until you see what happens AFTER Frozen 2 hits in November! Get ready for parties, characters, shows and more Frozen-based treats than you’ll know what to do with. 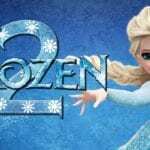 The story picks up after the events of the original, and Elsa should have her ice powers quite under control by now, though she promises to have undergone the biggest changes since the first film. Anna has too looking at her new hairstyle! We don’t really know much except that this adventure takes place away from Arendelle, but rumors abound at where that could possibly take them. Right now it’s anything from an Olaf love story to explaining that Anna (Kristen Bell) and Elsa (Idina Menzel) aren’t really biological sisters and we’ll be seeing how this affects their relationship. Some fans online have even been petitioning to give Elsa a lesbian plot line, though I think that’s not likely at this point with an established character. 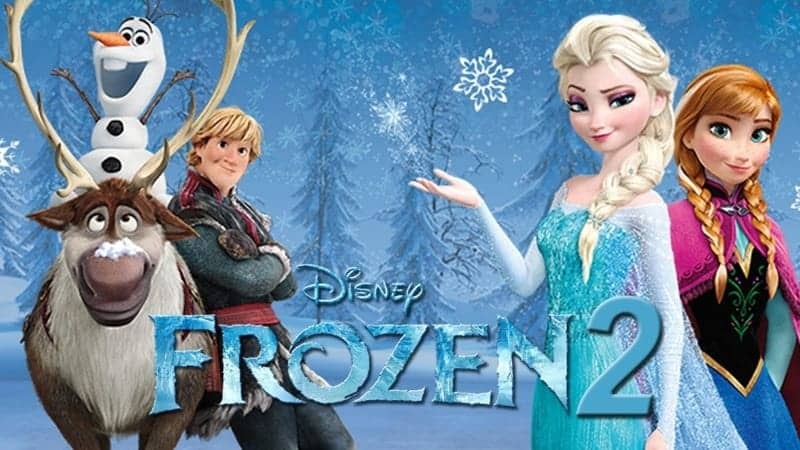 We’ll have to see what happens with Frozen 2, but there’s no doubt it will be a smash success and one of the highest grossing films of 2019. If this doesn’t earn a cool $1 Billion I’ll eat an icicle whole. Normally I’d be ridiculously pumped for a Star Wars movie, but I have a bit of a sour taste in my mouth after the stink bomb that was The Last Jedi. One year after seeing it, it’s even more laughable and the redeeming qualities it does have are severely out shadowed by the bad. Disney followed up Episode 8 with Solo back in May (which was much superior), but since it didn’t fair well at the box office, Star Wars fans in general have lost a bit of faith in the franchise. 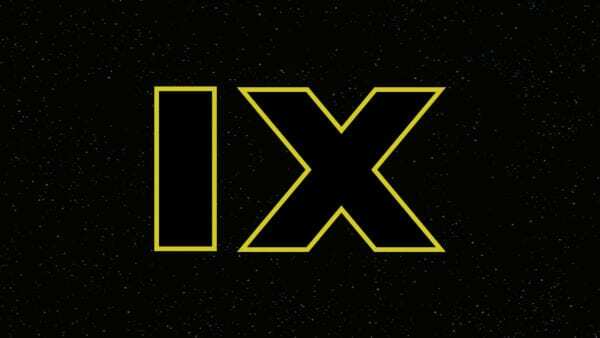 We don’t know much about Episode 9 so far, but we did learn that it will take place one year after the events of The Last Jedi. We also know that Leia is back (Carrie Fisher) for a pretty big role in the movie, and their using past scenes she shot to fill in the pieces. Most of the rest of the cast is back too Daisy Ridley (Rey), John Boyega (Finn), Adam Driver (Kylo Ren), Oscar Isaac (Poe Dameron), Anthony Daniels (C-3P0) and Mark Hamill (Luke Skywalker). J.J. Abrams is thankfully taking over directing Episode 9 after doing 7 and then handing over 8 to Rian Johnson (yeah that worked out really well). Disney just dropped the first teaser trailer for The Rise of Skywalker recently. The trailer was really cool and showed Rey and Kylo building up to an inevitable battle between the two. The craziest part though was hearing Emperor Palpatine’s laugh at the end of the trailer! 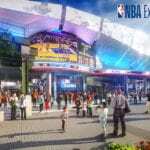 What!?!?! He’s still alive??? Disney just got my attention and I’m anticipating Star Wars: The Rise of Skywalker much more than I thought I would be. This is an improvement after the direction they went in The Last Jedi where they decided to kill off one of the biggest characters of all-time in the last one, plus Rian Johnson basically negating everything J.J. Abrams setup in The Force Awakens. No matter what the story is though I have a feeling after 1 1/2 years with no Star Wars, fans are going to be so hungry and will forget about how bad The Last Jedi was. Who am I kidding, I’ll be first in line. That’s my list of every Disney film coming out in 2019! As I mentioned before, these are just the ones hitting the Box Office and doesn’t include the movies coming to Disney+ yet. 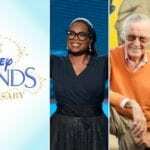 We know that Disney is working on a bunch of new original series for Disney Plus, including series set in the Marvel and Star Wars universes, along with The Muppets, Monsters Inc, etc. Marvel Series: WandaVision featuring Scarlett Witch and Vision. A series with the Winter Soldier and Falcon. Loki based around the god of mischief. And a Hawkeye series too! Star Wars Series: The Mandalorian and Rogue One, plus other new Live-Action Series Disney still hasn’t announced. Oh yeah, and ALL the Star Wars films including the original trilogy are here too! The 13 Big Animated Classics: From stories like The Lion King, The Little Mermaid, Cinderella, they are all here! Interestingly enough Disney has also recently said that their ENITRE film library will be opened up for Disney Plus, and if true that would be incredible! Being able to have access to every Disney Movie made would be worth the $6.99 per month it’s going to cost. Disney is going to have a record year in 2019 it looks like one of the most promising years for movies in a long, long time. See you at the cinema! Which one are you looking forward to most? Do you think Disney will reach $10 Billion in Box Office earnings? Looking forward to most. Capt Marvel. End Game. Spidey. Woody. And remakes of the Disney classics. Turning me back into a movie goer again! !